Been looking for better order management software ? 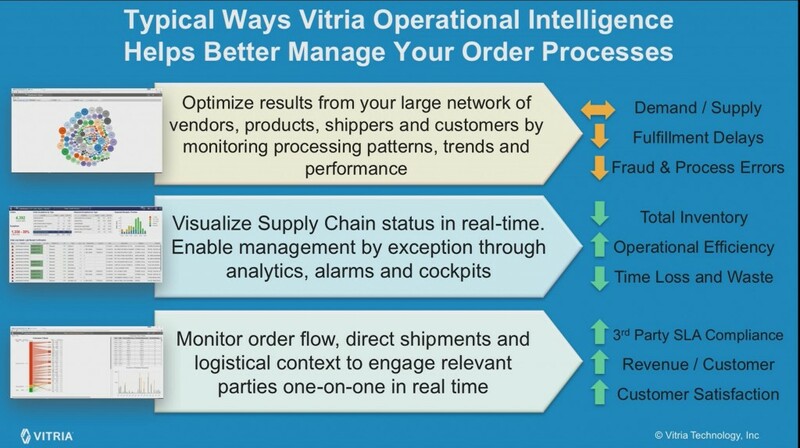 Vitria’s Operational Intelligence Platform is the innovative order process management solution you need. 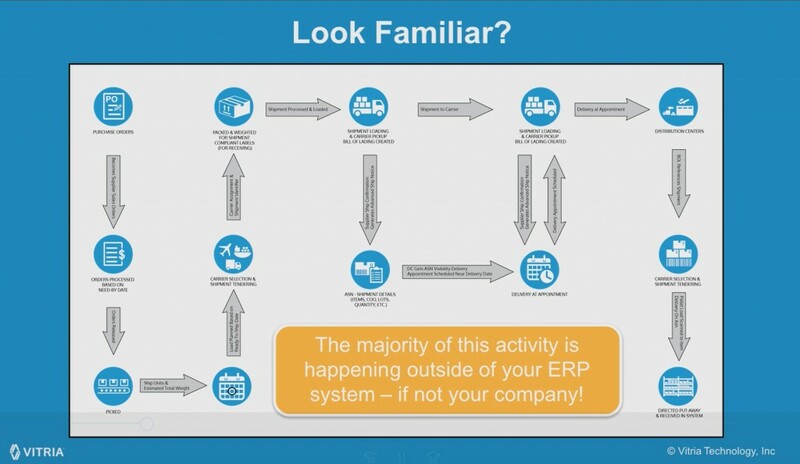 Despite significant investments in Enterprise Systems like ERP, most companies still struggle to stay on top of critical sales and purchase order process. These complex processes are best managed by exception with real-time operational analytics, not by reacting and fire fighting. Sales orders and purchase orders involve not only multiple parties, but a variety of internal and external systems to complete the end to end process. Maintaining a continuous view of what’s actually happening & where things are off track seems almost impossible. activity and management decision making leads to missed opportunity and excessive costs. management. It can connect to and blend information from multiple systems and external sources into an order management Command Center. Predictive & prescriptive analytics in the platform leverage historical and real-time data to recommend actions to manage exceptions and identify opportunities for management decision.